Click here for our a la carte Online Ordering Form! Chef’s lasagne done traditionally with ground free range steak Italian Napoli sauce with a colourful salad in summer & roasted mixed vegetables in winter. 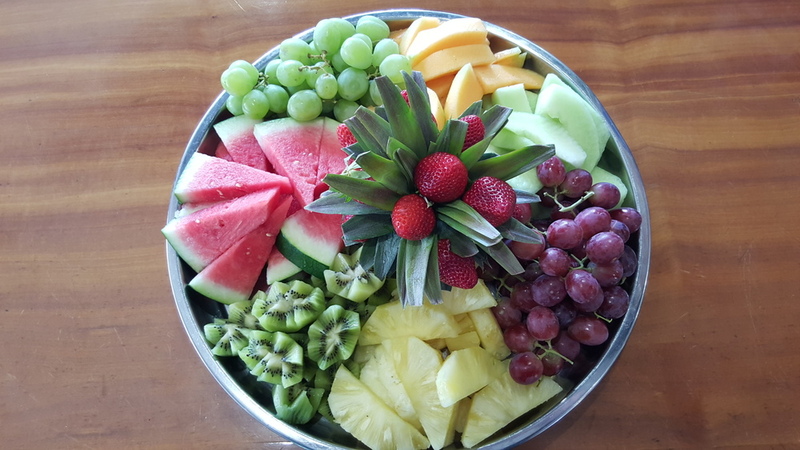 Earthy cheeses and fresh tropical fruit including strawberries, pineapple, watermelon, rockmelon, honeydew melon, grapes, kiwi fruit and a range of cheeses. Note: Pricing does not include set up/pack up, plating up and waiters. We strongly recommend the use of professional staff & we have staff available if required as per our terms & conditions page. We have a wide range of nibbles available that will suit a lunch or dinner, options include dips (e.g. Feta & Dill, Tangy Mediterranean Hummus, Rustic Beetroot Dip & soft Turkish breads, corn chips, olives, virgin oil & balsamic vinegar) & hot and cold finger foods & canapes.